1.It adopts stainless evaporator,the heat transfering effect is good,and the speed of rising temperature goes up quickly. 2.It has various merits:light weight,little electricity consumption,easy to operate . 3.Material jar adopt PC transparent makings which widely used in food;safe,easy to clean. 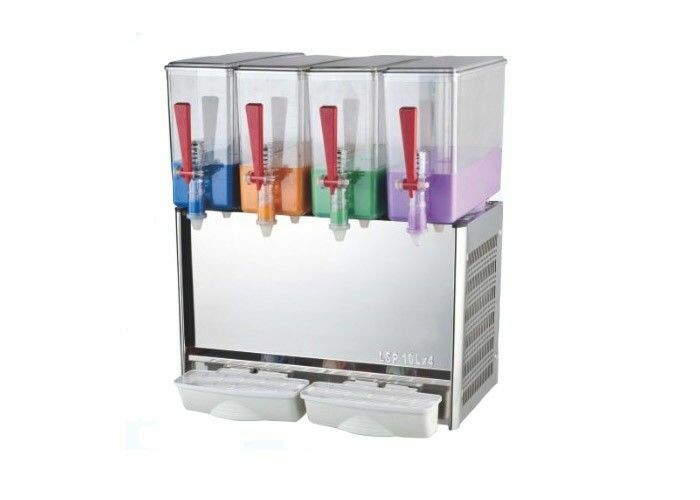 5.The machine adopts magnetized jet pump,can magnetized drink and benefit your health. 6.This machine is equipped with jet pump,can stir drink spray.And the beautiful and novel sparks of splash can attract many customers . 7.Freely adjust the temperature by temperature switch while heating. B: After closing the cooling switch, please wait for 3 minutes before open refrigeration,otherwise it will damage the compressor. C: When making heat ,you must open the water pump switch, After stop heating, pump and mixing motor still should work for at least 5-6 minutes , then can be closed. D: When making hot drinks, the juice shall not be less than 2L. Singlecylinder heating is prohibited (single hot machine except). 1.To fall prepared beverage into the crock , the height of it is should not exceed the standard height (9L-12L-18L-20L-50L), otherwise the beverage will flow into the churn-dasher from the dasher tube,which will make the dasher burn . 2.The temperature of the beverage should not too high (not exceed 35), otherwise it will make bad effection for the refrigeration . 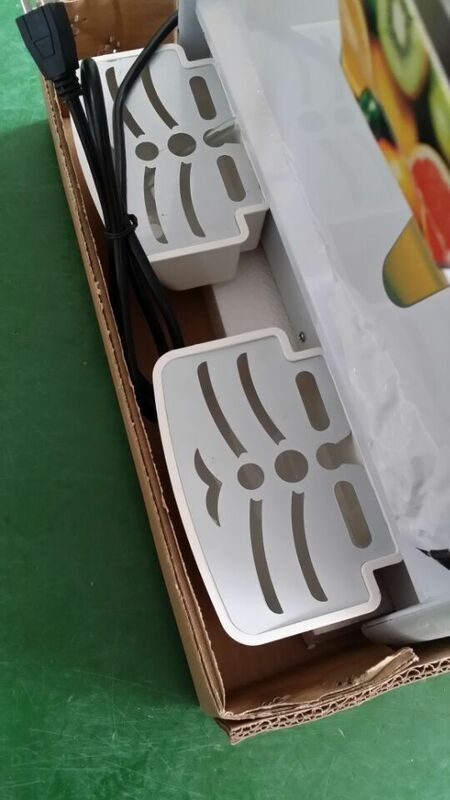 3.Plug in the supply power to the 3 hole socket , the grounding hold should connect with the protecable wire or fixture to ensure the safety . 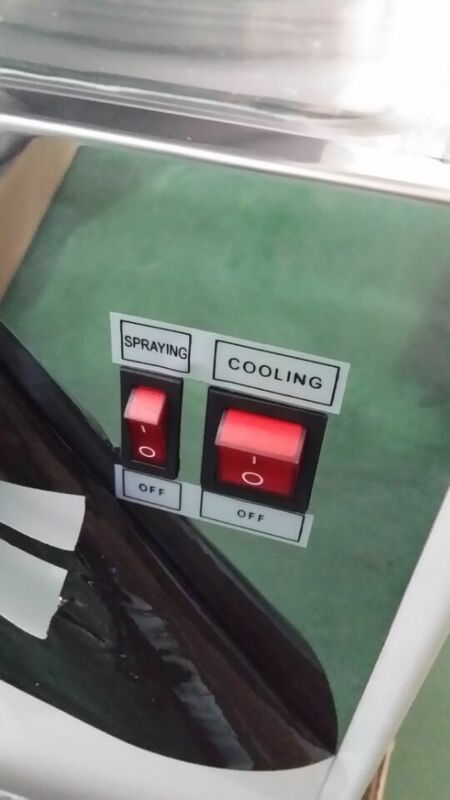 4.To turn the switch on the position of refrigeration , press down the refrigeration switch , the compressor fan starts running and refrigeration system starts working . 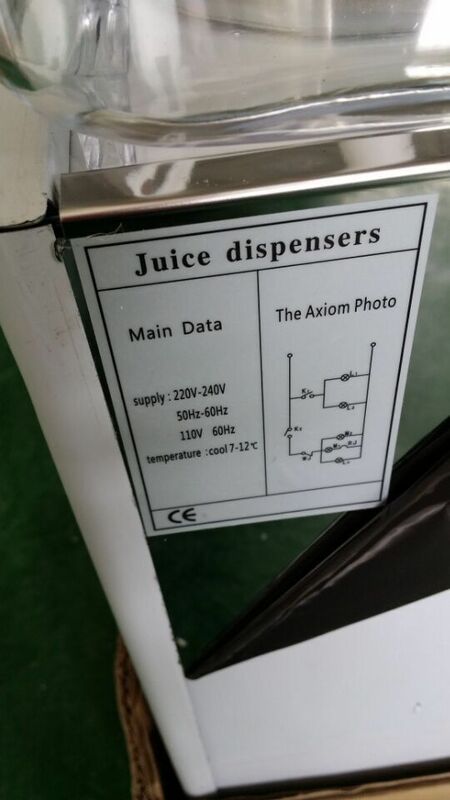 5.When the beverage becomes to the suitable temperature , please make the cup against the push board lightly .the beverage will flow into the cuo from the outlet mouth . 6.when the temperture reduces to the certain degree , the refrigeration will stop running because of the influence from the temperature cotroller .And when it increases, it will start automatically again . 7.It should re-start after 5 minuters if it turn off suddenly or stop temporarily .otherwise it will damage the compressor .